I did an auto-translate of this into Modern Hebrew - the results are unpublishable! It is remarkable what technology can do and I can see that speakers of modern Hebrew have little advantage over speakers of any other language as to what the psalms are about. Notice the double underline - the close framing at the end using the word that ends the book of Job. I have corrected hundreds, even thousands, of errors caused by my incomplete algorithm. It's the Karate Kid all over - keep on doing the slow and painful repetitive mechanical work of individually reading and reviewing 4000 or so of 19500 words, and just watch how much you learn without knowing it. The brain is like the ground that works you know not how and eventually - viola - harvest. I am approaching the harvest psalms but first I have combed through psalms 1-16 checking the recursions and correcting them based on all the manual changes I had made. And I will mechanically catch up to where I am in a few days. Essentially as I do more manual tables, I have enough of a measure to correct the 20 to 25% error rate in root calculation left in my first broad-brush measures. That will considerably reduce the effort and the errors in my construction of the rest of the framework for the comments I am developing on the psalms as a book. Colin Gunton in his book The Actuality of Atonement explores the philosophy behind metaphor and three significant metaphors of atonement: victory, justification, and sacrifice. Gunton reasons and concludes entirely from the perspective of the theology of Christendom. How is reconciliation perceived before the time of Jesus and his own particular uniqueness? I am confident that it was perceived just by reading the psalms with all their turmoil and joy. Even a superficial search for Hebrew and Greek words translated as atonement or reconciliation produces a pattern from which one might draw short-circuited conclusions. I find myself wondering how much I can open up this particular 'cover' designed by Tyndale within my own limits of understanding. I think we have been overwhelmed with explanation when we needed something quite different: a form of hearing and doing that is well established in the Senior Testament and also attested to in the New Testament. Each of these sections is valuable and requires a careful reading. I found I could only read a few pages at a time. The question remains for me as to whether I can begin to organize my thoughts around a set of equivalent passages reasoning up to the New Testament rather than reasoning with New Testament conclusions already determined. What if one worked from the one day of Genesis 2:4, to the knowledge of evil that produces the primary disorder, to the critique of Law and the final satisfaction in Job 42:17, to the overshadowing wings of the cherubim (Psalms 17:8, 57:1, 91:4), to the living of God with humanity expressed by the tabernacle, and from that seat of mercy to the formation of the people of God and the great assembly (Psalm 22:25), and in parallel through the experience of exile together (Psalms 137:1) and with its individual (Lamentations 3:1) speaking for the people and not failing in engagement, and also in the background, as in the New Testament, the one on whose shoulder the beloved comes up from the desert (Song 8:5). I do not think we would find anything lacking in this shepherding of the people and the tribes of the nations. Then we could ask afresh why we have the actualization of this consolation in the person of Jesus and the work with which he finishes creation and redemption and with which he, in consecrating himself, prays us into unity (John 17:21), a unity that puts purification into its true context (1 John 3:3). I think I would continue to agree with Gunton's conclusions, but I would see them in an earlier light and perhaps help polish the lens which we must all look through in some sense. And you will note that I did not use the word atonement or reconciliation in this outline. The fence is being built to keep the deer out of the garden. I wonder if we will see some telling footprints in the snow before it melts. Psalm 56 - is the structure as precise as some say? I omit some words from these tables - notably God (8 times) is not in the table below. Sometimes the divine invocation is a factor in the structure. Therrien has a detailed set of indentations that make the poem look more metaphysical than it really is. The Hebrew poet is not from 17th century England. As noted in the earlier post, the new frame is quite appropriate - David is a fugitive, will he not return? I am going to go through this exercise for psalms of the right length - not too short not too long, just to see what comes up. Psalm 55 is the right length. It is clearly dominated by a wordplay around קרב (qrb) war, battle, and within. As such it reflects the self-reference of psalm 36 and again gives the lie to objectivizing the enemy. I wondered how I would manage the construction of a 'book'. Here's the status report. e. take the resulting html which is a pile of junk and delete all the spurious stuff in it. Mechanically during this process I am also formatting the translation and recurring roots from the database into an outline in Open Source. Eventually in that outline, read the psalm again and decide where the strophe boundaries are. I am largely doing this conceptually and subjectively based on who is speaking about whom to whom in the psalm. Sometimes the recurrence structure is more important. I have all the base outlines, 150 chapters prepared. I am up to psalm 58 with a first review of these outlines. I am up to psalm 52 and still working on it with a complete draft. I am up to psalm 15 on the Poetry of Christ blog. So I am lagging by 37 psalms - letting them cook before publishing the draft. Even when published it is still somewhat subject to change if I find an important note. As I review each chapter in detail, I often discover serious concordance issues that must be addressed. Concordance is not the only factor but it is one that makes me search backwards and forwards to deal with textual allusions that I think must be allowed to stand in English. So 20 days ago I was 32 poems ahead in draft of the published draft. Now I am 37 poems ahead. I have drafted a little over a third of the 'book' in three months. So I will probably be finished a full draft by Christmas 2011. Isn't that nice? Who wants to read and critique it? You are allowed to volunteer. There are fewer gross errors than there were three months ago. Polyglot by KATÓ LOMB - available here as a PDF. How I learn Languages. Though I had not yet studied Latin, I spelled out each beautifully ringing sentence and their approximate Hungarian equivalents with great delight: Juventus ventus… (Youth is folly…), Per angusta ad augusta (All beginnings are difficult). Could it be possible to build with such diamond bricks the thought bridge that spans the space between minds? I fell in love with languages over a few proverbs—folk wisdom crystallized into laconic figures of speech. Hey - just do it! By the time I was able to move on to more quality reading, it was 1943 and carpet bombings were upon us. As a result of hours spent in the bomb shelter, I was able to progress faster. All I had to do was camouflage my book. I purchased a thick Hungarian encyclopedia and had a bookbinder acquaintance sew the pages of Gogol’s Dead Souls in place of every second sheet. During air raids, I would wade through entire chapters of it. This was the time I worked out my technique of boldly skipping over unfamiliar words, for it would have been dangerous to consult a Russian dictionary in the bomb shelter. You probably knew I wouldn't stop till I had done another one. Psalm 9-10 produce too large a table to see. But Psalms 42-43 were reasonably easy to put together. besides the 'chorus', verse 10 of psalm 42 and verse 2 of psalm 43 are strongly related. What if, I thought, one wanted to see if two poems were really one - what would a table show? So I tried psalms 1 and 2. I would expect different results for psalms 9-10 and psalms 42-43 and the table might be too big to see comfortably. You can immediately see below the words that recur when looking at both psalms but that would not show as recurring in one or the other psalm or both if looked at one at a time. Magné, Répétitions de mots et exegèse dans quelques psaumes et le pater (ISSN 0006-0887) suggested to me an experiment. Instead of my complex diagrams of psalm 51 (text here), see if I can express the structure by isolating the keywords in their sequence and relative position by verse. After a week of cogitating, I came up with a semi-automated approach. As I was organizing my books - impossible - and in the middle of some mechanical preparation of the 150 chapters - the 100 remaining - of my current writing, I came across this lovely quote in a book which I have inherited from Murray Adaskin. I am not sure I am eager to agree - for I do study scholars, but whether I am a mystic I do not know nor particularly care. Mystic needs to be incarnational, so that its grounding does not fly away into evanescence. This is a book on Sufi knowledge so I will probably read a bit of it. Sufi is known for stretching to incarnational language and being criticized for it, sometimes severely. Speaking of incarnational thinking - see Rachel's latest post, God's afterimage. Here's an ascending-descending. Link here. With thanks to my daughter who is always finding things of interest on the web. in certain essential respects, the contemporary of Jesus has no advantages over those of us who live two thousand years later. It offended then as it does now that God should come to speech not as a philosophical teaching but through a man executed for blasphemy and sedition. It offends the moral sense that human redemption should come as sheer gift in so unattractive a packaging. How does יְהוָה our Lord (8) whose fingers touch the winter sky, teach our fingers to war (144)? Does the Bible encourage violence with these images? At a recent discussion at the Center for Studies in Religion and Society concerning the place of religion in the courts, besides the tension between externally visible signs of religious belief and the inner frame of sincerity, the real issue that came up was the potential for harm and the willingness of a society to pay the cost of institutional protection of citizens from harm. While there are a few questions begged, and I expect my own wit to be honed in this environment, I am struck that the psalms which are formative of those who know the covenant of mercy (psalm 149) should use this image of war which clearly does tend to the harm of others, (like the 30,000 soldiers killed in the rout of Israel by the Philistines in 1 Samuel 4 or thereabouts.) 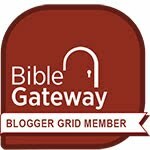 What is the teaching about harm implied in the psalms? There is a very simple trick to actually colouring the psalms as you look at them. Highlight a recurring sound in the Hebrew characters, then ctrl-c, ctrl-f, ctrl-v - copy find and paste and some browsers will find the words for you. Chrome and IE both search independently of the vowel markings. Then you can see the frames easily. I find it revealing when reading. So it has taken me three months to complete a first draft of Book 1 (psalms 1-41). I am beginning to work on Book 2 and also will be reviewing Book 1 as I publish 3 verses or so a day, i.e. 2 to 3 psalms a week or thereabouts. The story in the psalter is emerging as I write. It is more complex than I thought. Everywhere there is emerging a sense of one person standing for the whole and absorbing the troubles of the world. I cannot quite put my finger on how this is - but it is. And I know it will immediately be evident in Book 2 in the first three psalms because the 'I' of psalms 42 and 43 clearly becomes the 'we' of psalm 44. And it is evident in other places - e.g. the 3rd chapter of Lamentations, perhaps the most obvious. Highs and lows aside, I continue to learn. Fishbane and now the SBL Winter 2010 journal are both teaching me about inner-Biblical exegesis. How curious. I am also having to read Samuel. And I discover I can skim in my Tanakh (Hebrew only) while others are reading in English - cool!